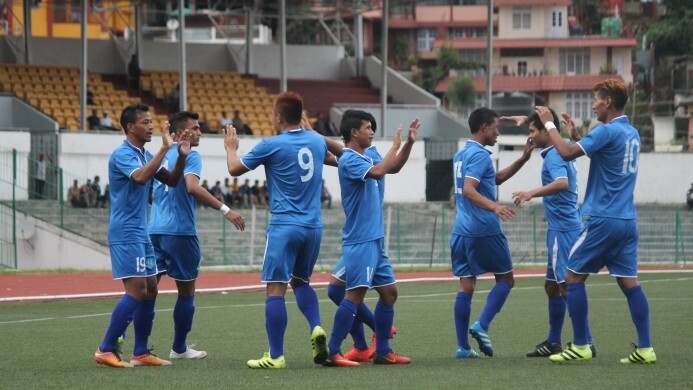 Rangdajied United FC holds off comeback by Meghalaya Police team as they win 2-1 against the hapless Police outfits in the Gionee Shillong Premier League. 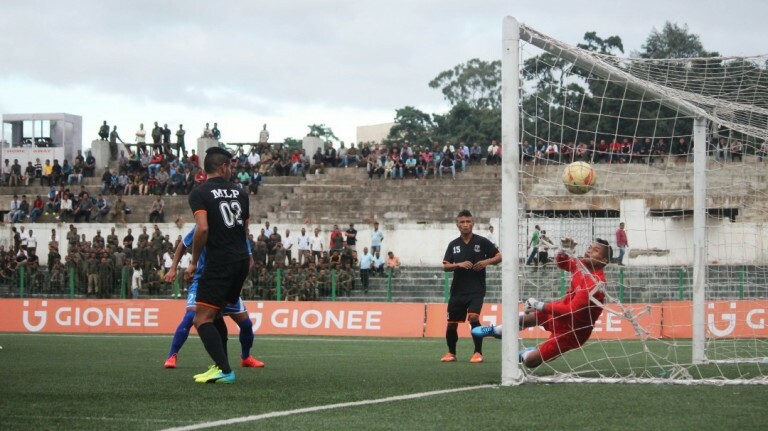 Meghalaya Police saw two of their goals disallowed for fouls as a brace by Rangdajied’s skipper Bansharai Sun secures a vital win for Rangdajied..
Meghalaya Police’s wonderful start of life in the Gionee Shillong Premier League has been put to check as they fall for their third consecutive defeat scoring just one and conceding four compared to the twelve goals they scored and one conceded in their first two matches. It hasn’t been the case of the three oppositions being much stronger; rather, their problems have come from their inability to replicate the free scoring side that had everyone awe struck in their first two matches. This directly coincides with the injury of their captain Niwan-o-Gatphoh who had been out with injury. The Police goalkeeper is unable to keep out Sun's (not pictured) header as Rangdajied took an early lead. 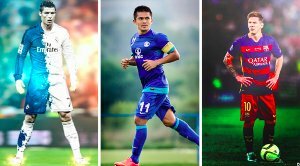 Both the teams started brightly and Rangdajied got the reward for their early pressing when skipper Bansharai Sun who had missed a sitter in the 5th minute atoned for his mistake and headed in from the corner in the 8th minute. The police outfits then had a chance to equalise a few minutes later but as has always been the case with the police outfits for their last three matches; the players weren’t at the right place at the right time and they missed out on an easy chance. They then scored from a corner kick but the referee penalised it for a foul. Not much action followed and Rangdajied went into half time with the goal advantage. Rangdajied came out into the second half with much intent and silenced the loud Police fans when Bansharai Sun’s brilliant flick header from a corner kick gave Rangdajied the two goal lead in the 52nd minute. All seemed lost for the Police outfits and the fan’s cheers were dying out when their skipper Niwan-o-Gatphoh who had come in at half time send the fans into frenzy with his goal in the 70th minute. The fans, renewed in faith and knowing they can get an equaliser got much louder and this gave the Police outfits a new lease of life as they pressed for a goal. 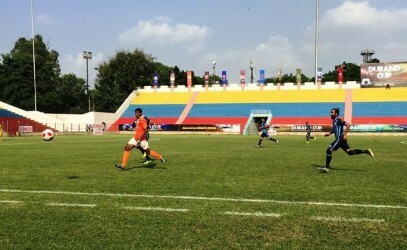 In the 85th minute a cross by a Police player into the Rangdajied box fooled the keeper who misjudged the bounce of the ball and made an early jump; the ball went past him and into the goal. The Rangdajied keeper, realising his mistake made the most out of a small contact with a Police player and feigned an injury leading to the linesman giving it a foul and disallowing the goal much to the dismay of the police players who protested in vain. They didn’t lose heart and looked on for the goal that would give them at least a point but Rangdajied held on to their lead. 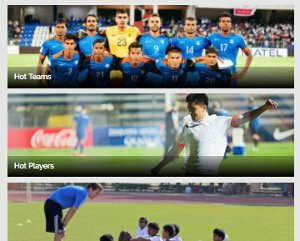 The full time whistle was met with the sigh of reliefs of the Rangdajied players and their technical staff while the referees were jeered by the Police fans.